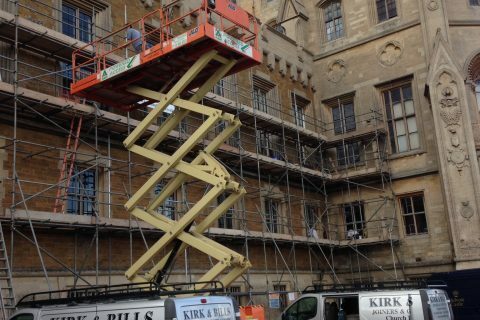 Home to Dukes of Rutland, Belvoir Castle is a grade I listed building. 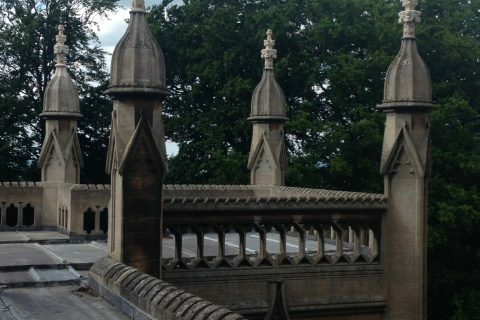 It’s an iconic structure with a history stretching back to to William the Conqueror. 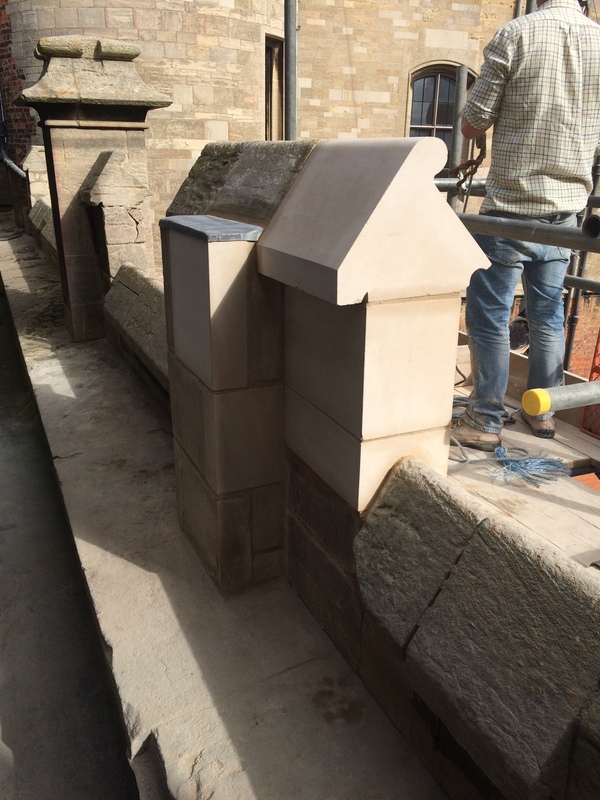 The current building dates back to the early 1800s, so any repairs and refurbishments must be carried out to the highest heritage standards. 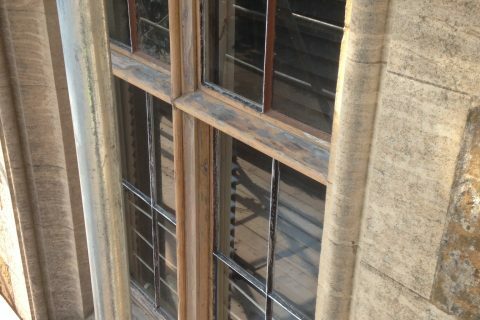 During six weeks over the summer, we undertook detailed work to the windows in the Chinese bedroom, restoring them to their full glory. 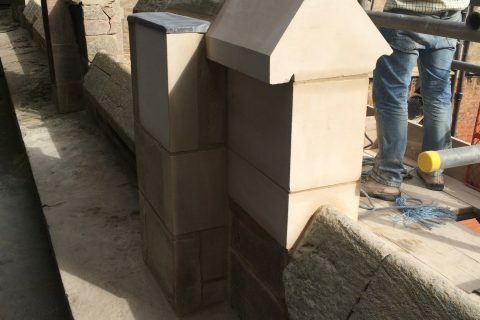 Carefully cutting out rotten timber and taking patterns to build exact-match replacements in our workshop, we took a meticulous approach to this project. 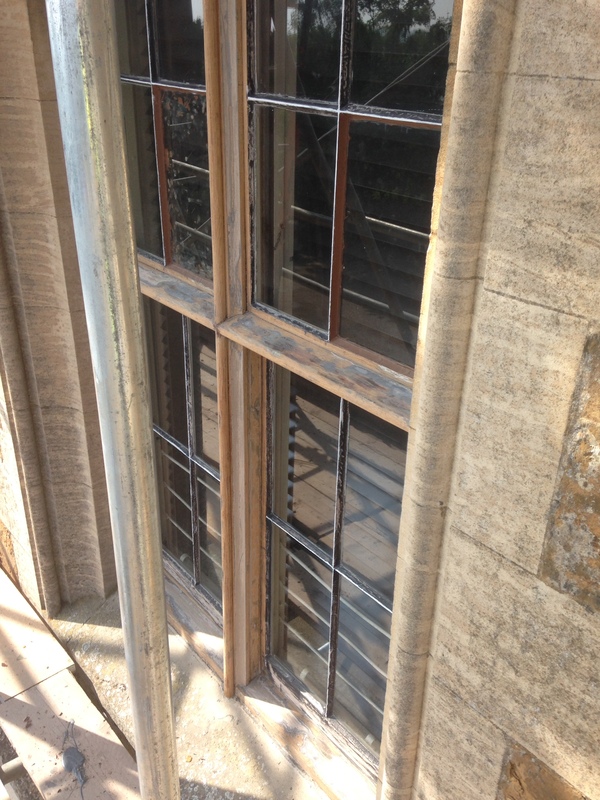 In this spirit we replaced loose putty using only specified materials, filled open grain timber with a repair care system and used the highest quality paints for an enduring finish. 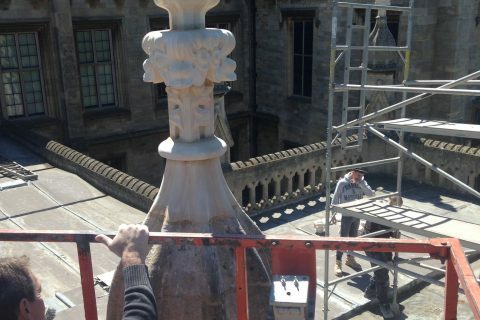 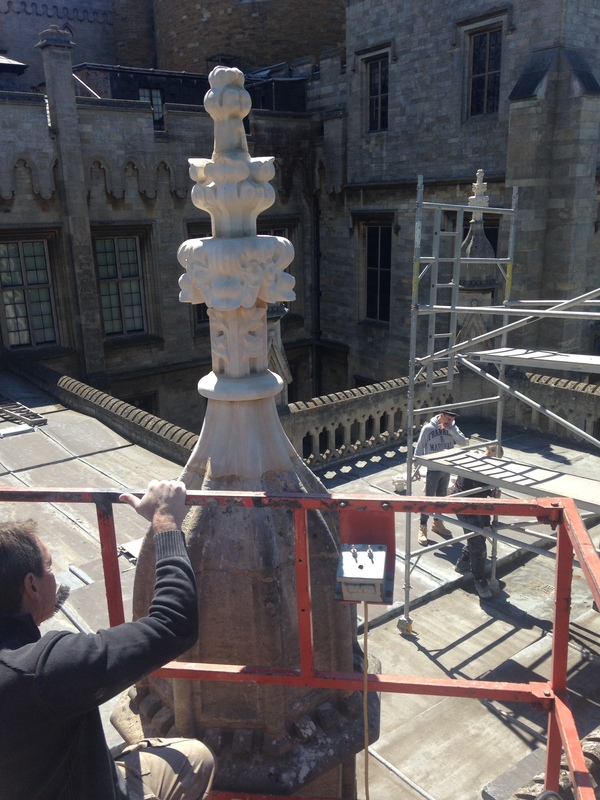 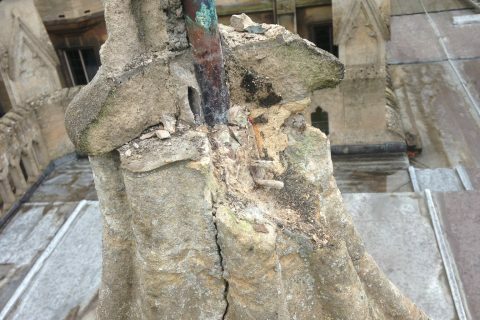 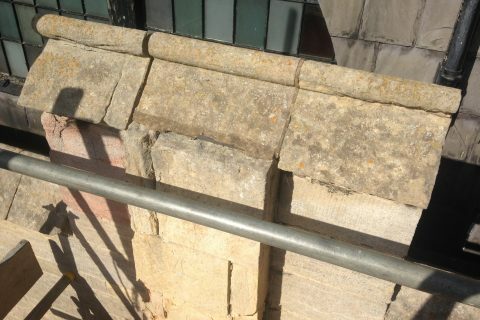 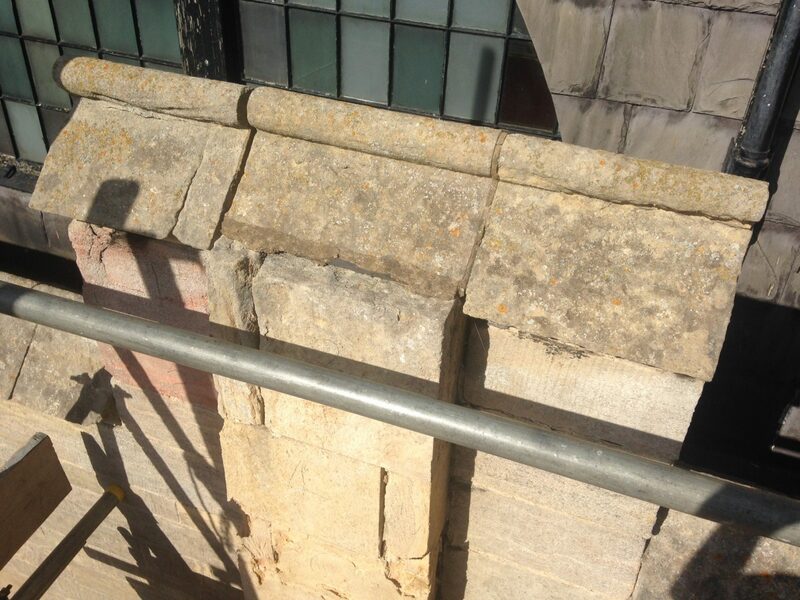 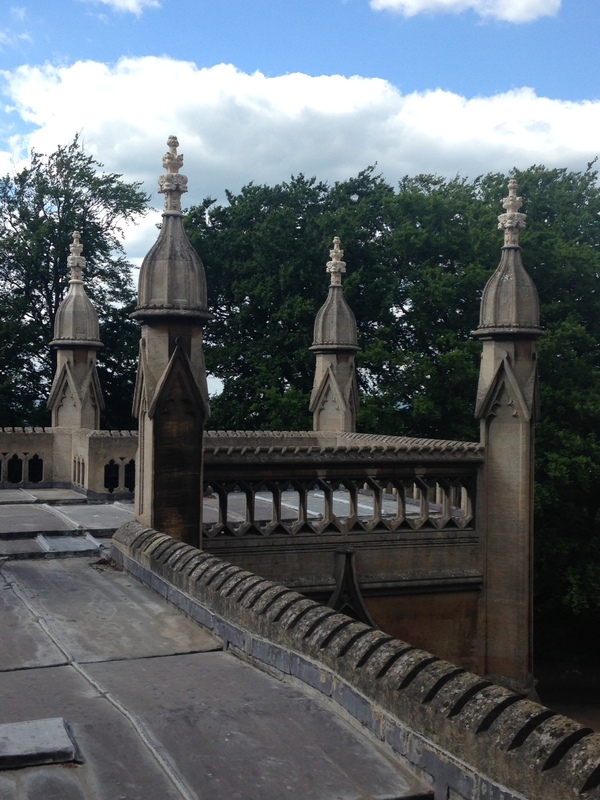 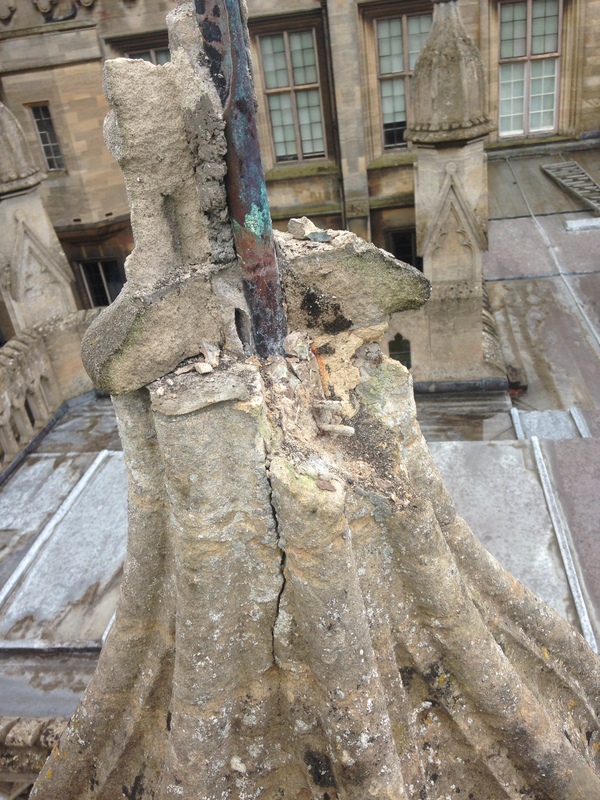 We also worked together with our stonemasons to remove, carve and reinstall eight stone pinnacles. 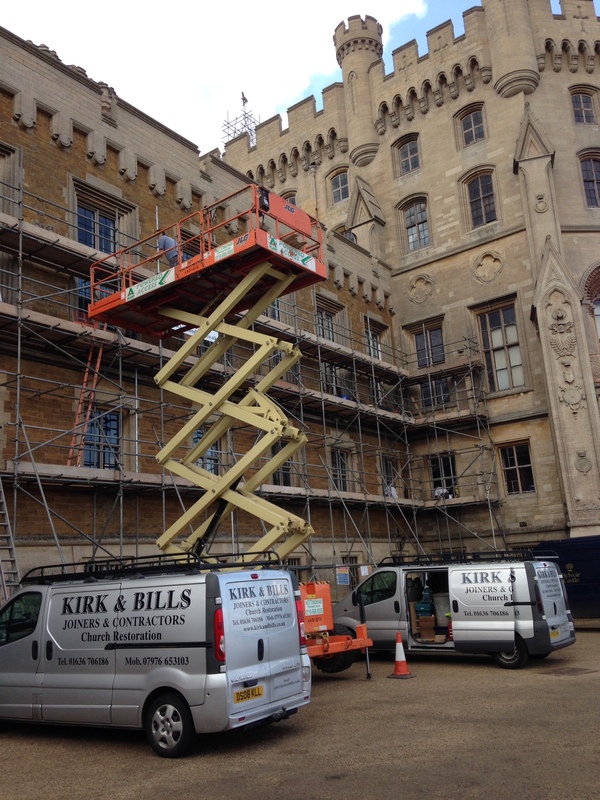 Throughout, all access equipment was supplied by Kirk and Bills, and operated by our highly trained staff.